Three Easter services were held this afternoon in St. John's Church this afternoon. 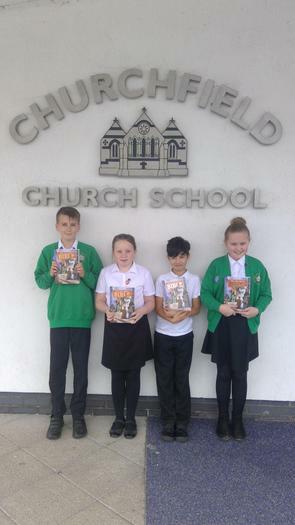 The services told the story of the resurrection and all children in Years 2-6 were presented with a bible, kindly donated by Churches Together. There were Readings led by the children who told the story and some wonderful singing, kindly arranged by Mr. Selby. Our thanks to Steve Mason and Rev. Sharon Crossman for leading the services.